Due to the mechanical analysis of a flying bbadminton, some phenomena of the badminton sports were discussed and the theoretical explanation is presented. The experiments on the drag coefficient of the flying badminton were conducted. Based on the experiments, the badminton flight phenomenon was analyzed via the commercial software of Matlab. The results can be expanded into the other field and it can be added in the teaching process of fluid dynamic or the other class. Li, Q., Guo, X., Qing, Q., et al. (2015) Dynamic Deflation Assessment of an Air Inflated Membrane Structure. Thin-Walled Structures, 94, 446-456. Suo, H., Angelotti, A. and Zanelli, A. (2015) Thermal-Physical Behavior and Energy Performance of Air-Supported Membranes for Sports Halls: A Comparison among Traditional and Advanced Building Envelopes. Energy and Buildings, 109, 35-46. Choi, Y. (2013) Analysis of Air-Inflated, Heavy, Membrane Tube Supported at Two Points on an Incline. European Journal of Mechanics-A/Solids, 42, 203-209. Bonet, J., Wood, R.D., Mahaney, J., et al. (2000) Finite Element Analysis of Air Supported Membrane Structures. Computer Methods in Applied Mechanics and Engineering, 190, 579-595. 郑植友, 周威. 中文体育类核心期刊羽毛球运动统计分析[J]. 成都体育学院学报, 2010, 36(2): 66-68. Wang, H., Zhai, Q. and Chen, K. (2019) Vortex-Induced Vibrations of an Elliptic Cylinder with Both Transverse and Rotational Degrees of Freedom. Journal of Fluids and Structures, 84, 36-55. Gu, Y., Du, J., Yang, D., et al. (2018) Form-Finding De-sign of Electrostatically Controlled Deployable Membrane Antenna Based on an Extended Force Density Method. Acta Astronautica, 152, 757-767. De Nayer, G., Apostolatos, A., Wood, J.N., et al. (2018) Numerical Studies on the Instantaneous Fluid-Structure Interaction of an Air-Inflated Flexible Membrane in Turbulent Flow. Journal of Fluids and Structures, 82, 577-609. 周丽名. 动车组与普速列车交会空气动力学研究[D]. 成都: 西南交通大学, 2017. 柯世堂, 王同光, 曹九发, 等. 海上风力机随机风场模拟及风振响应分析[J]. 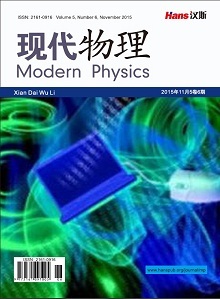 中南大学学报(自然科学版), 2016, 47(4): 1245-1252. Zhou, Y., Sun, Z. and Gao, Q. (2016) Performance-Based Fire Protection Design of Ruins Protection Pavilion Based on Air-Supported Membrane Structure. Procedia Engineering, 135, 486-494. Qing, Q. and Gong, J. (2015) Test Study and Numerical Simu-lation of Deflation Process of an Air-Supported Membrane Structure. Advances in Structural Engineering, 18, 761-774. 吴望一. 流体力学(下) [M]. 北京: 北京大学出版社, 1983. 傅志忠. 羽毛球飞行特性初探[J]. 福建体育科技, 1990(2): 89-94.